With Dominique Rodgers-Cromartie nearing the end of his contract with the New York Giants, and him supposedly being moved to safety, a new cornerback must be on the mind of Dave Gettleman in the NFL Draft. With corners being in high-demand in the draft, the Giants must look for value in the third-round if they want to solidify the boundaries. Nelson recorded the highest amount of pass breakups in the country, all while being tasked to over opponents’ top receivers on a weekly basis. His ability to play man-coverage is his top skill; as he doesn’t often require safety help over the top which is usually the case for most corners going up against the best receiver on any given team. The fact that his man-coverage ability is superior to most corners allowed the Badgers to draw up aggressive schemes, enabling the linebackers to blitz and not drop back into coverage. Nelson has received second-round marks from most draft experts (Walterfootball.com), but with a plethora of talent entering the draft, he could easily fall to the third. 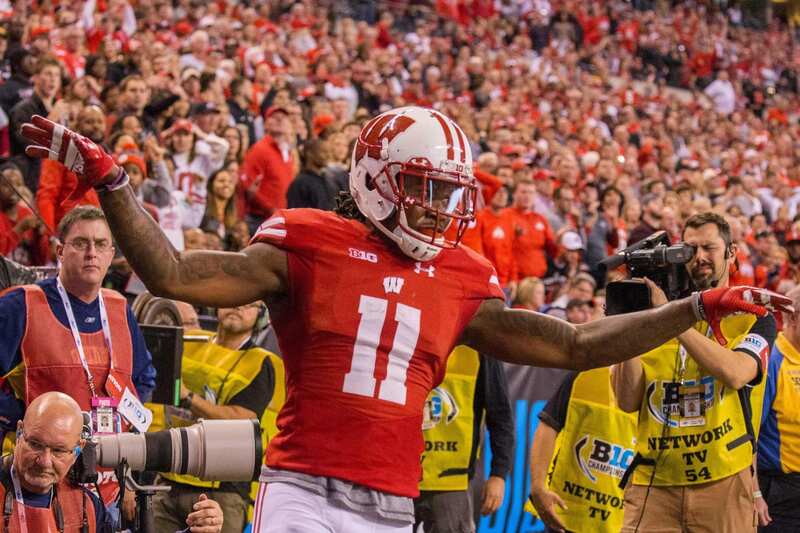 The Wisconsin product has good size at 5’11”, 204-pounds, and has room for more muscle mass and speed. He has been known to be an able tackler throughout his college career, and if he’s aggressive in the NFL, he shouldn’t have a problem maintaining that consensus. With his 40-yard dash range between 4.48–4.52, he’s certainly not in elite level territory when it comes to speed. But with corners, it’s more about agility and being able to stick on your man on the intermediate routes. Nelson could be a stellar option to replace DRC on the outside and complement Janoris Jenkins, Eli Apple and Ross Cockrell. It’s always a good idea to add depth to a position of need, especially when the drop-off is as big as it is for the Giants.